Truly a singular offensive talent, Tannor Johnson was a force on the field for Boston Slow White throughout the 2017 season. 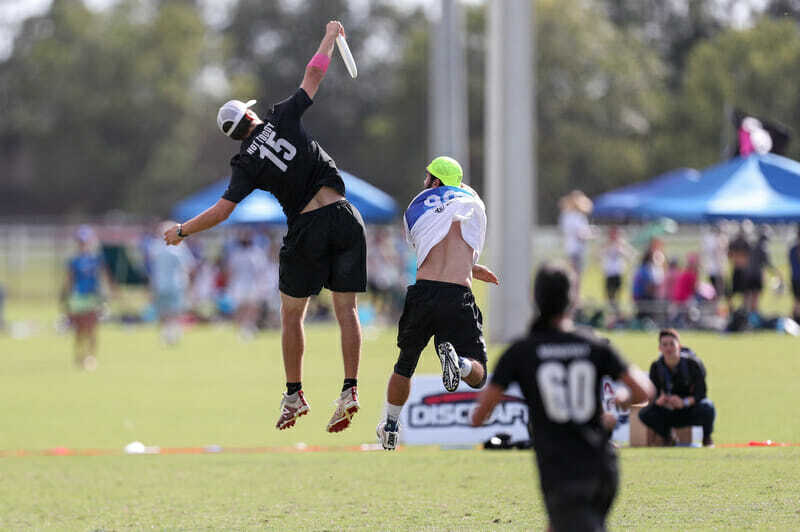 One of the rare deep threats who can just as easily operate behind the disc, Johnson seemed to be everywhere all at once at Nationals, powering Slow White out of a tough pool and into the semifinals. Johnson notched 10 goals and five assists in a three game stretch, taking over in the final pool play game against Seattle BFG to seal a bye to quarterfinals, and his presence helped dismantle a Minneapolis Drag’n Thrust squad in the first half, before using his throws to keep them on the back foot and push Slow White into the semifinals. Against Seattle Mixtape, no combination of defenders could contain him, and he kept Boston’s hopes alive, posting five goals and two assists in the semifinals. Johnson was the focal point for the Slow White offense as the season wore on, constantly pushing for yards downfield and keeping defenders honest with his arsenal of throws. However he was involved on offense, he was a player that teams needed to account for at all times. With as much parity as we have seen in the mixed division this year, defensive strategies tended to be straightforward; but with Johnson on offense, teams would visibly alter their approaches to try and limit where he would have an impact. Very few were successful. 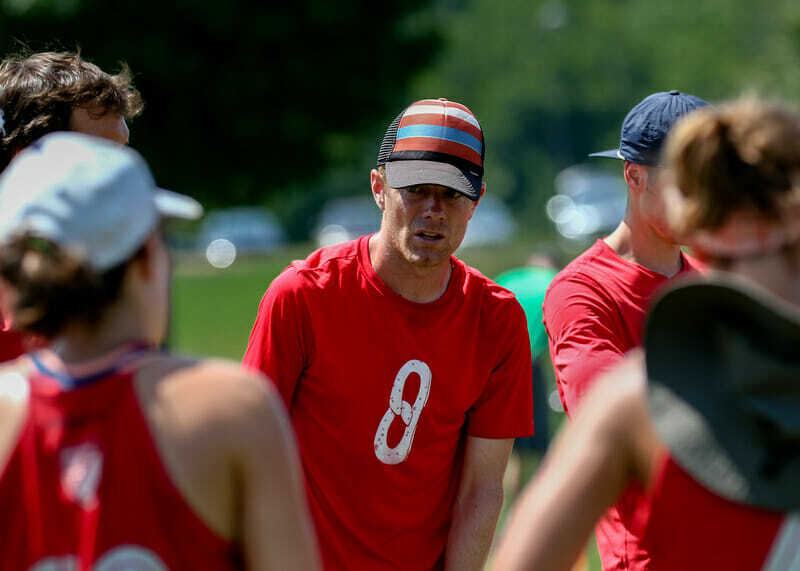 Even Mixtape, the team that knocked Slow White out of contention for a repeat championship, put their top defenders on complementary pieces, trying to prevent him from seeing too many open hucks or open throwing lanes. In spite of a gameplan that looked to limit him at every turn, Johnson still kept Boston in the hunt. His presence on the field opened space for teammates that would not be there otherwise. Poised with the disc, incredibly fast and agile as a cutter, and impossible to guard in the air, it is tough to believe that the prime of his career could still be a few years down the road. Combine all that with impeccable timing on his cuts and the athleticism to win back the disc on a turn anywhere on the field, and you have a player to build a program around. His offensive talent is what pushed Slow White into contention again, and will keep them in the conversation for as long as he continues to suit up for the squad. 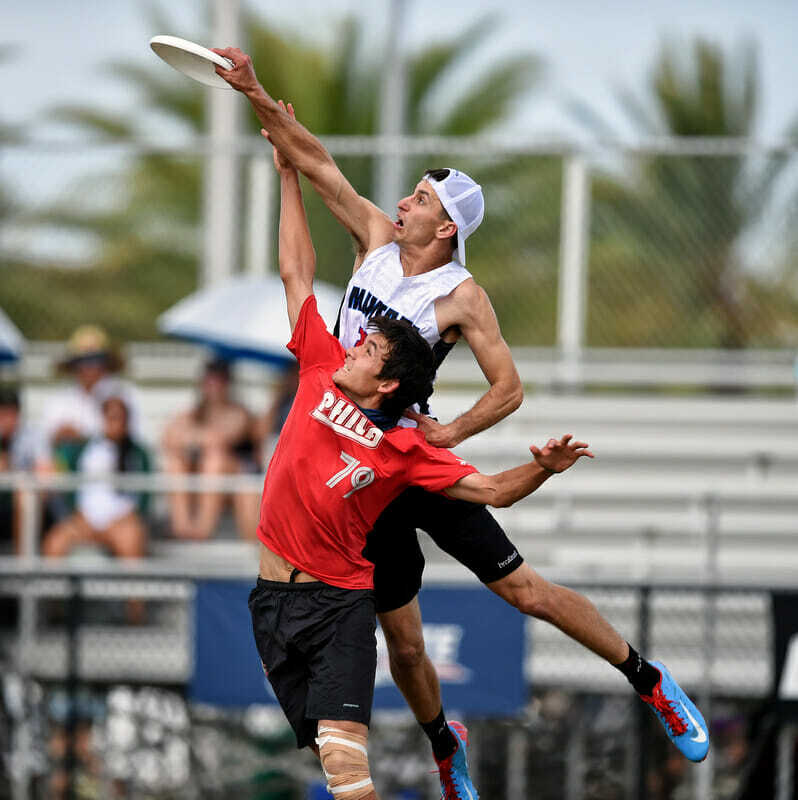 Tannor Johnson is Ultiworld’s 2017 Mixed Offensive Player of the Year. When looking at a defensive player, there are a few qualities to watch for. Conditioning and fitness are big components, but good defenders also need to have solid spatial awareness for where their mark is and where they are in relation to the rest of the field. Defenders need a good sense of timing, not only knowing when to jump or bid for a disc, but also knowing when they can help another teammate by flashing into a lane or peeling off for a few counts to poach before recovering. Evan Klein stepped up his game this year and showed off all those traits at an elite level, coming up with key blocks deep while also forcing opposing offenses to account for his positioning all over the field. Klein has been a mainstay on the Seattle Mixtape D-line, frequently taking on some of the toughest matchups in the division while also showing off a level of field awareness that puts him in the right place at the right time to help his teammates. Klein routinely made the right read on discs that kept getting bounced around in the Sarasota wind, earning blocks for Mixtape and pushing downfield to convert breaks for one of the most dangerous D-line offenses in the division. In the semifinal against Boston Slow White, you could see Klein locking down his mark on defense while also looking for opportunities to disrupt the throwing lanes or help off the back of the stack. His presence allows other explosive defenders like fellow captains Bert Abbott and Khalif El-Salaam to hunt for blocks underneath, knowing Klein can clean up in the deep space. Certainly not lacking explosive athleticism in his own right, Klein has incredible closing speed, allowing him to bait deep throws and catch up to any huck that is not inch-perfect. Knowing when to rotate on defense and identifying the right time to bait versus locking down on defense is a tricky line to stay on, and Klein does this incredibly well. Watching any point during the final against Philadelphia AMP — and really whenever he is on the field — Klein makes his presence known. From the first defensive point for Mixtape, Klein moved from shutting down a pull play to running Michael Ing around the field. Klein limited Ing’s effectiveness downfield and wore him down on the turn, catching two goals in Seattle Mixtape’s first National Championship. 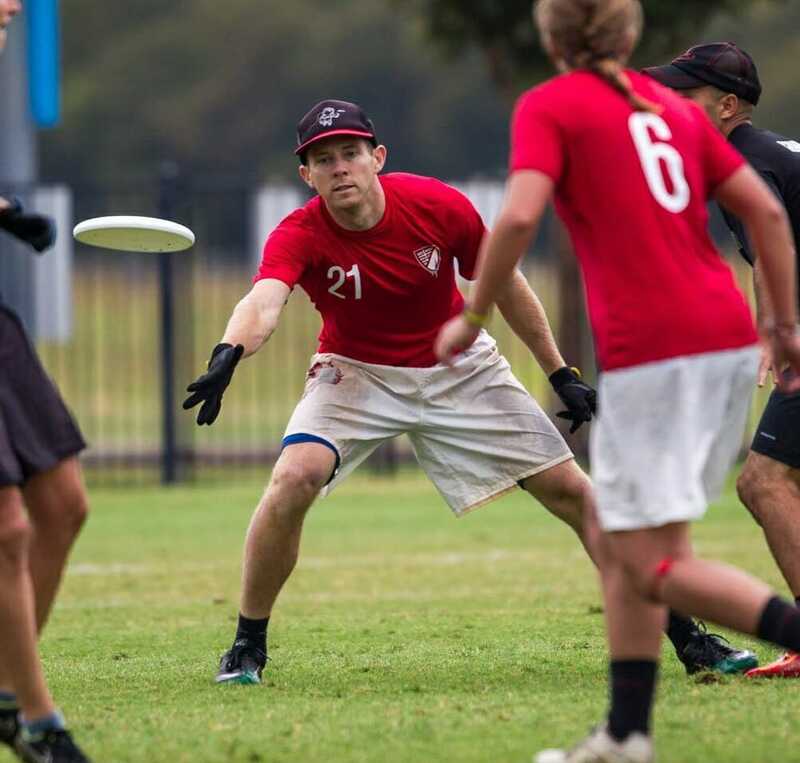 All season long, Klein was the rock that allowed Mixtape to be aggressive on defense, all while racking up blocks of his own, and he is Ultiworld’s 2017 Defensive Player of the Year in the mixed division. As mentioned in her POTY runner-up write-up, Anna Thompson had mostly flown under the radar heading into the 2017 club season. Her unbelievable campaign in leading Philadelphia AMP to the brink of a national championship ensures that she will never be overlooked again, though her previous anonymity has made her meteoric rise all the more gratifying. At Nationals, Anna Thompson’s recorded scoring total (Goals/Assists/Ds) was 19, among the highest of any woman across the division.1 That stat line is possible by virtue of competing with a team that values and trusts their women. 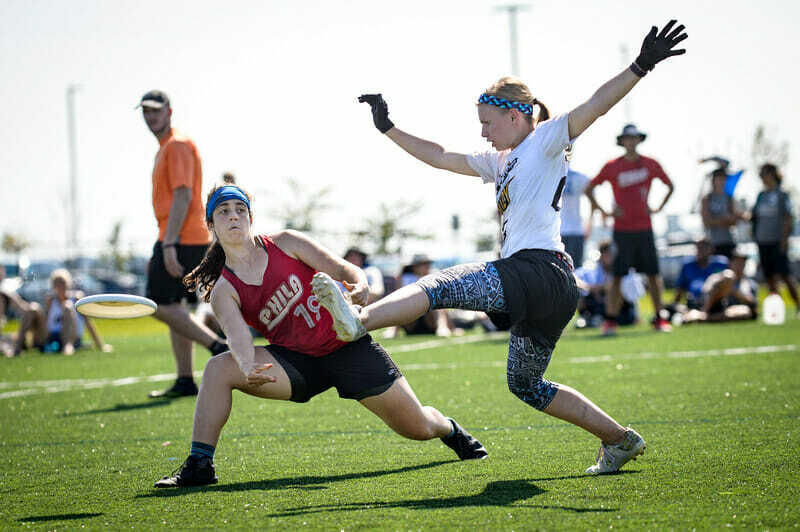 With contributors including Thompson, Carolyn Normile, Linda Morse, and Raha Mozaffari, it’s understandable why Philadelphia’s women have the most touches-on-disc of every team in the division. Considering the talent around her, it’s even more impressive that Thompson played such a prominent role throughout the tournament after just one season with the team and in her first ever mixed Nationals. Thompson’s role on the field is very similar to Mozaffari’s: she’s everywhere that AMP needs her to be. Considering Mozaffari is both her coach at UPenn and her ‘workout buddy’ for the club season, it’s no wonder that Thompson was described as ‘Little Raha’ by Evan Lepler. The versatility of Thompson and Mozaffari are a huge part of AMP’s unrelenting offensive unit. Thompson’s ability to change direction and first-step acceleration keep her defenders trailing constantly. There’s an obvious reason her cutting style has been described as ‘relentless’ and ‘exhausting’ by those tasked with marking her. She has a full range of throws and isn’t afraid to launch hucks for her receiver to chase. Shut down one facet of her game and she’ll fill another role with equal precision. Despite frequently starting upfield, Thompson will filter into the handler position and AMP gives her plenty of space to unleash hucks or tidy I/O breaks. While almost exclusively an offensive player, Thompson’s field awareness makes her a defensive asset after the turn. Smart poaches, full-extension bids and a fast closing speed are all part of her repertoire. Her talent was on full display against Mixtape in the finals where she had a recorded four assists, tying Player of the Year Mark Burton. If you didn’t manage to watch her enough at Nationals, she’s on the USA u24 Mixed team heading to Australia in January. Lookout, Worlds. Thompson’s season surpassed mentioning her age as a gimmick, but if you want to be more impressed, look it up. It’s worth getting used to hearing her name. We’ll probably be discussing her for years to come. Philadelphia AMP’s successful 2017 campaign is evidence that a program is capable of developing a slew of talented young players without sacrificing results. Look no further than their coach Patrick Sherlock to see how it’s done. As with many successful club coaches,2 Sherlock recognizes the importance of savvy recruiting. He keeps an ear to both the college scene (as the coach of UPenn Venus) and the local league scene (captaining multiple teams in various seasons), staying connected to potential recruits by whatever means possible. Talented athletes with potential to improve are invited to play leagues together or participate in one of AMP’s many off-season sessions. The cream of that crop then gets invited to official tryouts or to an early season tournament. Philadelphia’s new-found attitude was instrumental to their play style this season, thriving on sideline energy and eccentric celebrations to reinforce good decisions and smart tactics in the face of unfavorable outcomes. For example, the team’s defensive schemes largely focused on forcing opponents to play long points, whether with zone, junk sets, or simple back-hip/lane-sagging person defense to force lateral movement. This strategy helped AMP pull away in the second halves of games, as opposing O lines tired while AMP, with a deep and well-conditioned army of defenders, remained tenacious. The prevailing trust exuded by the team prevented over-correcting strategically when results didn’t happen quickly; teams were sometimes able to score early on in games, but struggled to string together offensive holds later. There’s much more that could be discussed to make the case for Sherlock deserving Coach of the Year — AMP’s focus on keeping the disc high side in a crosswind, or the evolution of their hybrid stack, or their incredible success going 4-women on offense — but the case is already quite clear. Having fallen just shy of a national title, and with a chance to double peak in Cincinnati and San Diego, AMP is likely to return a bulk of their team for 2018. With nine months for Sherlock to prepare them, the rest of the world better watch out. Comments on "2017 Mixed Club Awards, Presented By Universe Point"